Most people would love to set aside more money for retirement. But tax-deductible IRA contributions are limited to $5,500 per month for most of us, at best. Fortunately, those who own their own small businesses, are independent contractors or otherwise have self-employment income have another option that allows for much higher contributions: the Self-Directed Solo 401k, sometimes called one-participant 401(k) or individual 401(k) plans. You can make employer contributions of up to 25 percent of total compensation as defined by the plan – up to a compensation cap of $265,000. If you are self-employed, however, as opposed to the owner/employee of your own corporation, you must make a special calculation to account for your contributions to the plan plus one-half of your self-employment tax. You may then generally contribute up to 25 percent of what is left over in an employer contribution. Because of the way contribution limits are calculated, solo 401(k) plans offer a nice perk for certain higher-earning plan sponsor/participants: Anything you contribute to the plan as an elective deferral not counted as compensation. Which increases the amount of money eligible for the 25 percent employer’s non-elective contribution. Self-direction also increases your purchasing power, because your solo 401(k) can actually borrow money to make leveraged investments. Yes, this increases risk, but it also magnifies potential returns. It is quite common for self-direct solo 401(k) sponsor/participants to have their 401(k)s borrow money with which to make investments – especially in real estate. 401(k) plans have the additional advantage of substantial creditor protection – going even beyond the generous limits for IRAs established by federal law. 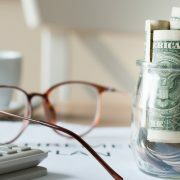 Even the IRS can’t levy assets in a 401(k) to satisfy personal debts, since 401(k) assets are typically held in trust for the beneficiary, rather than considered personal assets. Solo 401(k)s can also be structured to allow for personal loans to yourself from your 401(k) for any reason. Ask us about this particular feature of our Self-Directed Solo 401ks. Caveat: The solo 401k is not a great match for you if you have any employees besides yourself and a spouse, or if you want to hire employees very soon. However, you can get many of the same benefits using a SEP IRA. 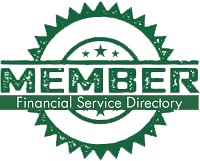 American IRA, LLC works with many successful Self-Directed Solo 401k sponsors who are even now pursuing many different successful investment strategies. For more information, give us a call at 866-7500-IRA(472). Or visit us online for a wealth of informative informational articles, brochures and other literature at www.americanira.com.